After being stuck inside all winter, summer is the time for your dog to play outside to their heart's content. But while your garden can hold a lot of fun for your pup, it can also hide some dangers in plain sight. There are many average outdoor and indoor plants that are known to be toxic to dogs. Here are some of the most common, brought to you by our top dog trainers. 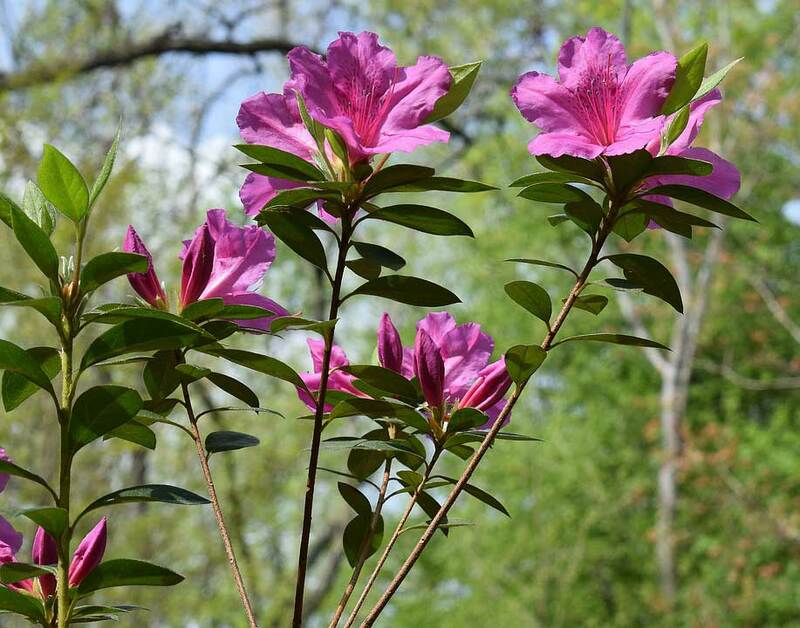 Azaleas are considered one of the most poisonous plants to pets, as all parts of the plant are classified as moderately to extremely toxic. Grayanotoxin, the toxic principle of the plant, affects the functioning of the muscles and heart. Even a small amount consumed, such as the ingestion of just a few leaves, can lead to drooling, vomiting, diarrhea, low blood pressure, paralysis, depression, and/or cardiac failure. Though aloe vera is great for us humans for skin-soothing purposes, it is highly toxic to dogs. The gel inside the leaves doesn't do any damage, but the ingestion of the leafs can have multiple dangerous effects on dogs, such as diarrhea, vomiting, depression, tremors, and anorexia. Though it's improbable that your pup will decide to make a meal out of a wall of ivy, it's smart to know the dangers of it if you have some at your home. Digestion of any common ivy leaf in dogs can lead to vomiting, diarrhea, abdominal pain, hyper-salivation, and oral irritation. More extreme symptoms can even be as serious as paralysis and comas, so be sure to keep ivy out of reach from pets or monitor them if they go near the plant. Summertime lets you grow some of the prettiest flowers, but unfortunately many of these plants are considered poisonous to your dog, including daffodils. Although the entire plant is considered poisonous to pets, the most danger lies in the very toxic bulb. Consumption can have side effects of vomiting, hyper-salivation, tremors, low blood pressure, diarrhea, convulsions, and cardiac arrhythmias. The toxic principle of alkaloids in the flower is most highly concentrated in the bulb, so if your pup loves to dig up your garden you may want to reconsider planting daffodils. Ripe tomatoes are generally safe to eat for dogs, but consumption of parts of the tomato plant and young, green tomatoes are a different story. Tomato plants aren't lethal (unless your pet has ingested a very high amount of the plant) but it does contain poisonous toxins that can cause great discomfort in dogs, such as severe abdominal pain, diarrhea, vomiting, hyper-salivation, depression, slow heart rate, weakness, and paralysis. Hydrangeas are garden stunners, but, like daffodils, these pretty flowers can cause a great deal of harm to your pup. Symptoms of hydrangea consumption can rage from hyper-salivation and other oral irritation to vomiting, diarrhea, and depression. Highly poisonous both to humans and dogs, oleanders are a popular flower whose leaves contain cardiac glycosides, a toxin that can cause diarrhea, abdominal pain, depression, colic, trouble breathing, tremors, and possible cardiac failure when ingested. Another beautiful flower, the popular holiday ornamental and toxic amaryllis can cause a variety of problems when consumed by a dog, from vomiting, diarrhea, abdominal pain, and hyper-salivation, to anorexia, depression, and tremors. Like daffodils, the bulbs contain the most highly concentrated toxins. Knowing what plants are toxic to your pup will help you keep them from unintentional harm's way. Taking precautionary steps to remove or reduce these plants in and around your home will make for a much more enjoyable summer for both you and your dog. Do you have any questions or concerns? Contact Dog Training Elite today for professional dog training services and useful advice, we're happy to help!